The Masayuki Honda International Law Office, LPC is located in Ebisu, Shibuya. We are specialized in International cases for individual clients and Small-Medium sized Companies. Our English speaking lawyers provide the legal services with reasonable fees. We are available for English reception, so please feel free to contact us. For Greater Tokyo, Shibuya, Ebisu, area. Also covers Saitama, Kanagawa, Chiba, and Kanto Suburbs areas. We are available for Overseas Clients consultation through Telephone call and Skype. The Masayuki Honda International Law Office is located in Ebisu, Shibuya area. We are a professional law firm for international cases, such as, International Divorce, Inheritance, Litigation, and Criminal cases. Our experienced attorneys provide legal services for individual clients and small and medium-sized companies with reasonable fees. Unfortunately, our firm name has been used for scam email inquiry. We have reported this case to the Japanese police. For further information, please see the link. We are getting into Summer Holidays in following period. We will suspend our business from Aug 11th (Sat) to Aug 15th (Wed) . We will resume our business as usual from Aug 16th (Thu) . ※If you have any urgent matter, please contact us by Email. Please write “Urgent “in the title. Tokyo Family Court and Tokyo High Court awarded shared physical custody. Tokyo Family Court and Tokyo High Court fully accepted our claims and awarded shared physical custody（this allows the children to live roughly equal amounts of time with both parents）based on a foreign state law. We obtained the judgment which found the foreign defendant not intentious of possessing Narcotics in the criminal case. Our attorney Honda (Chief) and attorney Sato served as the defense counsels for the foreign defendant accused of the possession of Narcotics. The judgment found that the defendant did not have an intention to possess Narcotics based on our claim that the defendant only had an intention to possess Designated drugs (Tokyo District Court). Immigration Control and Refugee Recognition Act states that any alien who has been convicted for violation of a provision of the Narcotics and Psychotropic Substances Control Act may be deported from Japan. Ms. Marie Sasagawa, Attorney at Law joined our firm. For her profile, please see the link. Mr. Honda was interviewed by media about the Child’s Return to Foreign State by the Hague Convention. 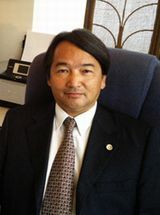 Attorney Masayuki Honda represents a Turkish father, the left behind parent, and filed a petition of the Child’s Return to Foreign State to the Tokyo Family Court. The court gave decision on 20 March and returning of the child was ordered. Attorney Honda was interviewed by Mainichi newspaper and other media about this case, and his comment appeared in the evening edition of the aforementioned media. Mr. Seiya Sato, attorney at law joined our firm. For his profile, please see the link. Mr. Honda commented about Hague Convention on Nihon Keizai Shimbun. Mr. Honda was interviewed by media about Hague Convention. Mr. Honda was interviewed by Mainichi shimbun and other media about Hague Convention. He introduced the relocation order system which runs in Hague Convention countries when custodial-parent wants to relocate to other place, and he commented that there is a neccesity to develop such system in Japan. Mr. Honda is registered to JFBA lawyer's list for Lawyer Referral Service for Hague Convention Cases. As of April 1st 2014, the Hague Convention on the Civil Aspects of International Child Abduction (The Hague Convention) came into force in Japan. We handle Hague Convention Cases, so please feel free to contanct us. Since the establishment of the firm in 2002, we have provided individual clients and small-medium sized companies with specialized legal services in international cases. Through over a decade of experiences, we provide solutions in a comprehensive way. Our fee is reasonable for individuals and Small-Medium sized companies. All staff can communicate in English. So generally, extra cost for translation will not be charged. As many international cases require to address jurisdiction, applicable law, Visa and various other needs, our firm has partnerships with International Tax Account Office and Foreign Legal Counsels and Law firms in overseas. Divorce, Parental right, Child custody, Visitations, Child Abduction, Hague Convention etc. Residential Special Permission, Permanent Residence Visa, Change of Status. 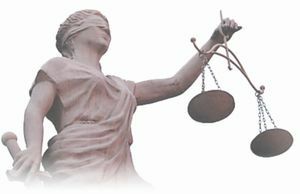 Our firm’s rich experienced attorney and also ex-prosecutor attorney support your case. We can handle the trial by lay judges case. Copyright (c) 2017 Masayuki Honda International Law Office, LPC All Rights Reserved.